Nargis Fakri interacts with the media during a launch event in Mumbai. Akshay Kumar and Tamanna Bhatia at a college to promote their new movie in Bengaluru. Megan Fox poses for a photo with a fan at the Los Angeles premiere of `Teenage Mutant Ninja Turtles` at the Regency Village Theater. Bella Thorne arrives at the LA Premiere of `Teenage Mutant Ninja Turtles`, in Los Angeles. Australian pop singer Kylie Minogue performs on stage during the Closing Ceremony for the Commonwealth Games Glasgow 2014, at Hampden Park stadium, in Glasgow, Scotland. 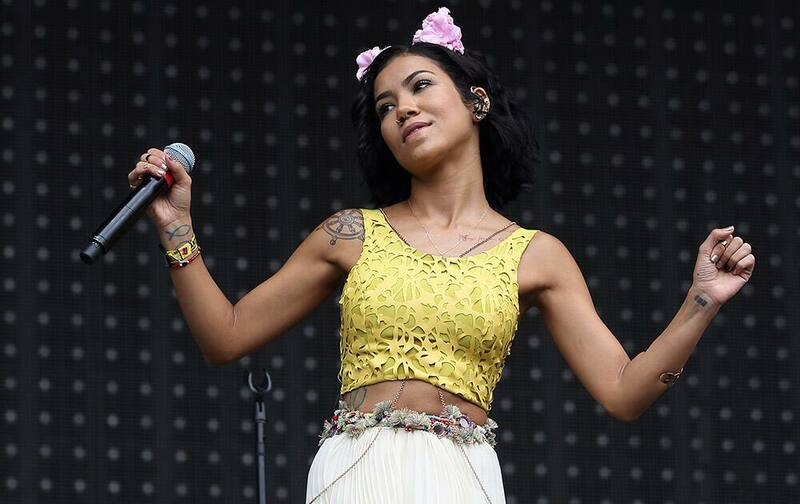 Jhene Aiko performs at Lollapalooza in Chicago's Grant Park.